11 Weeks With Fraternal Twins! Today is the first day I am wearing a maternity shirt! So exciting! 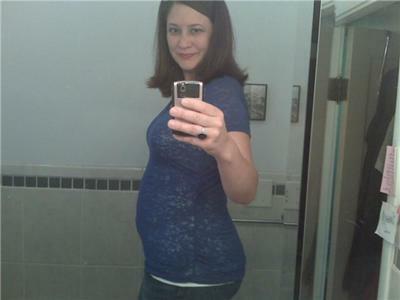 Due 12/25/2010. Comments for 11 Weeks With Fraternal Twins! You look so cute in that top. M only ten weeks and four days, due in March next year. Cant wait to see my own twins too. Goodluck during your pregnancy and God bless you throughout the ride. Congrats! My twins are due round about that time as well. Very pretty maternity shirt. You look so happy! You and your babies are beautiful I I love all of you to pieces! !